Ask us about custom Android apps for your business. Stay ahead of the game with custom IOS apps. MC² is a web and mobile application development company based in Cape Town South Africa. We build applications using Geo-location technologies giving our apps a richer fuller experience. Our goal is always to create applications that are fun and interesting to use. We will help you set up your store and sell to the world. 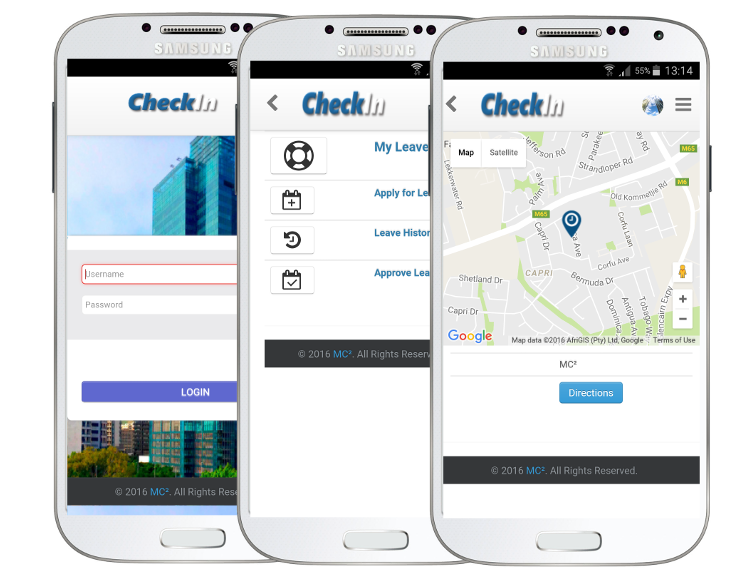 Speak to us about our White label mobile time and attendance app ready to be customised for your business. We build awesome App's. Check out some of our work below. The real life location-based game platform for mobile devices. 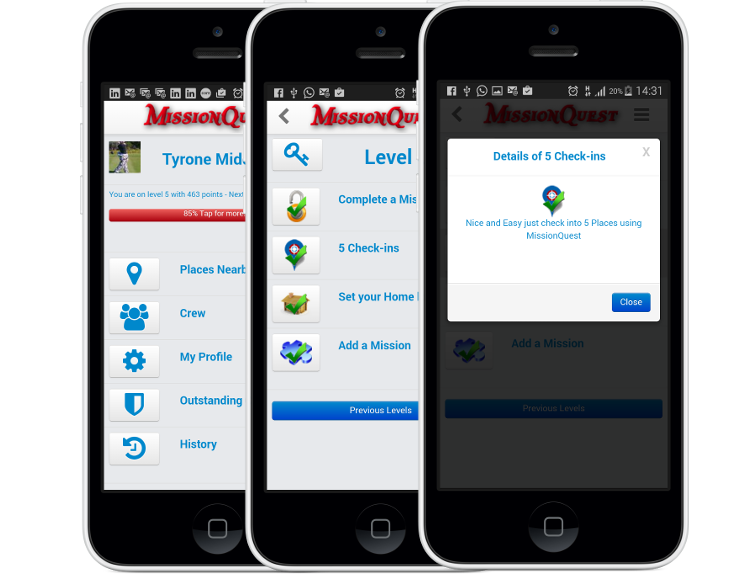 Players check-in and complete Missions all around the world in order to earn points, win rewards, and unlock badges from participating Companies. Our goal is to create a gaming layer on top of the real world, giving players fun and exciting things to do on their next trip out. We use Geolocation to pin point exactly where your employees are when checking in for work. Mobile staff can add new sites on the go, when they CheckIn.. The cloud based Dashboard means you can login anytime anywhere to manage your Employee records, push Notices to Staff, and check in on attendance. Our team is waiting to bring your ideas to the world. We have over 20 years experience in building web applications for businesses, speak to us about your Dev needs. We would love to hear from you. 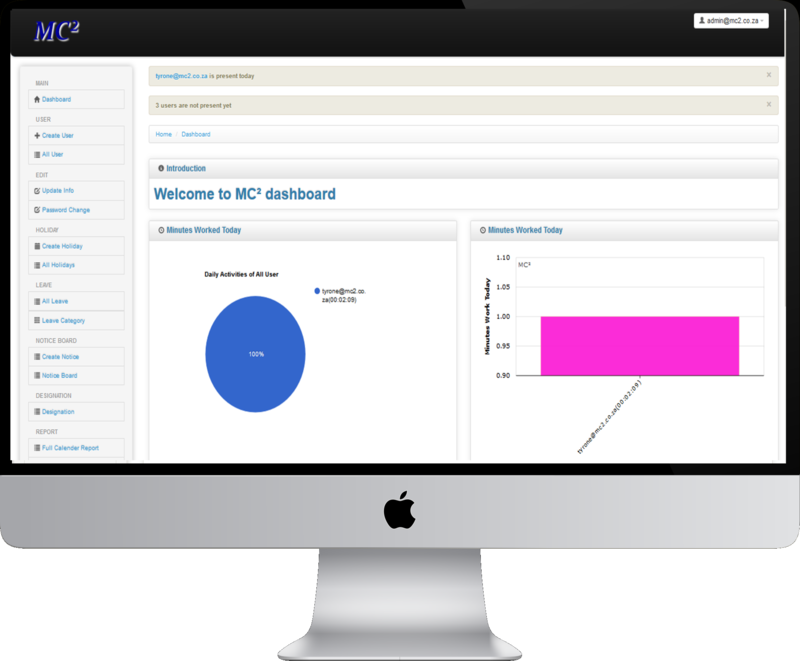 Please drop us a note if you have any questions, or if you would like to hear more about how your Business can benefit from using MC².